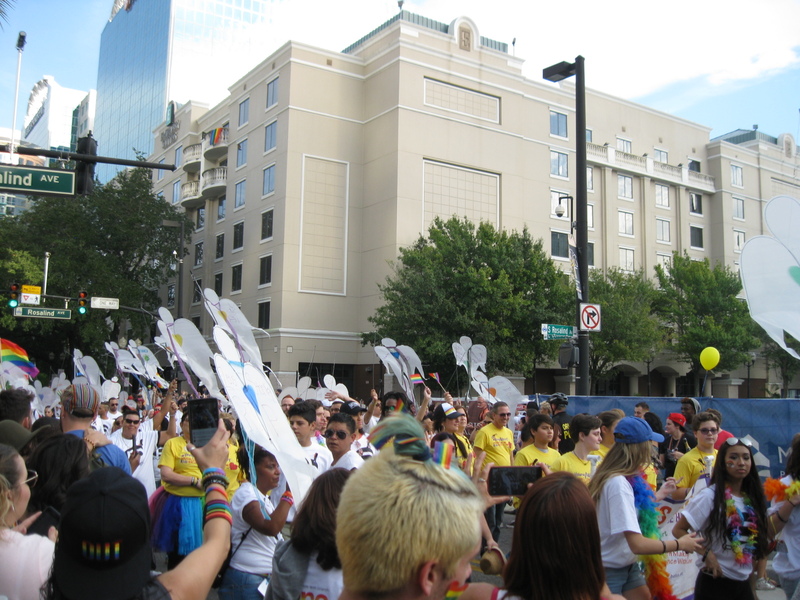 Forty-nine angel kites representing the forty-nine victims of the Pulse shooting were flown at the 2016 Come Out With Pride Parade. 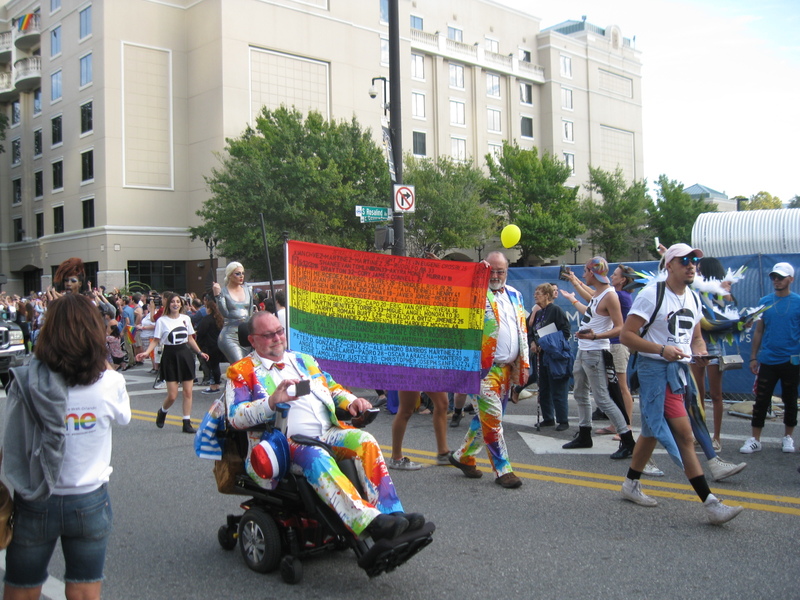 A flag bearing names of the Pulse nightclub shooting victims was carried in the 2016 annual Come Out With Pride Parade. 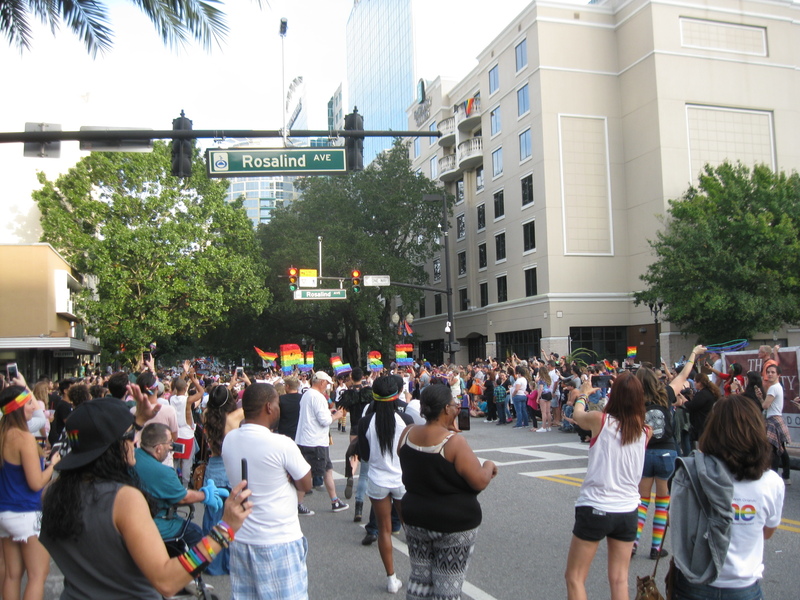 Staff of the Pulse Nightclub participating in the 2016 annual Orlando Come Out With Pride Parade. 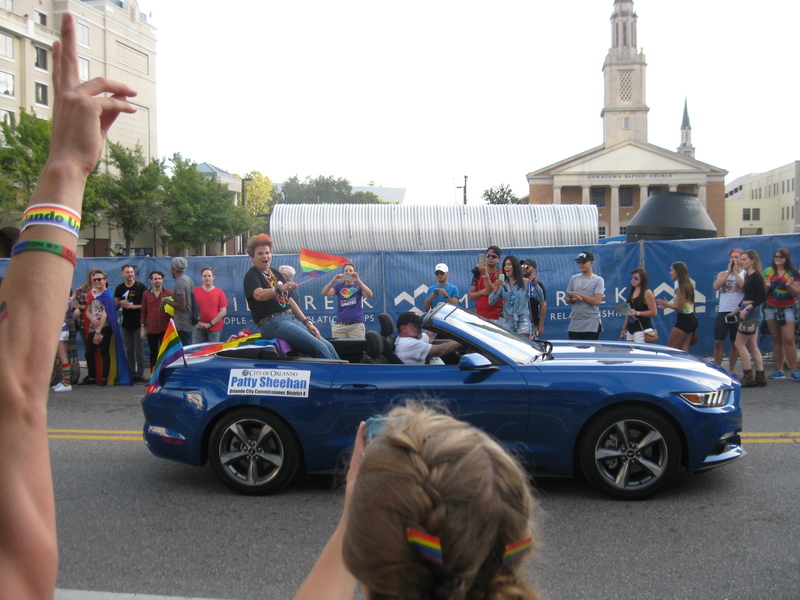 Orlando City Commissioner Patty Sheehan participated in the 2016 annual Come Out With Pride Parade. 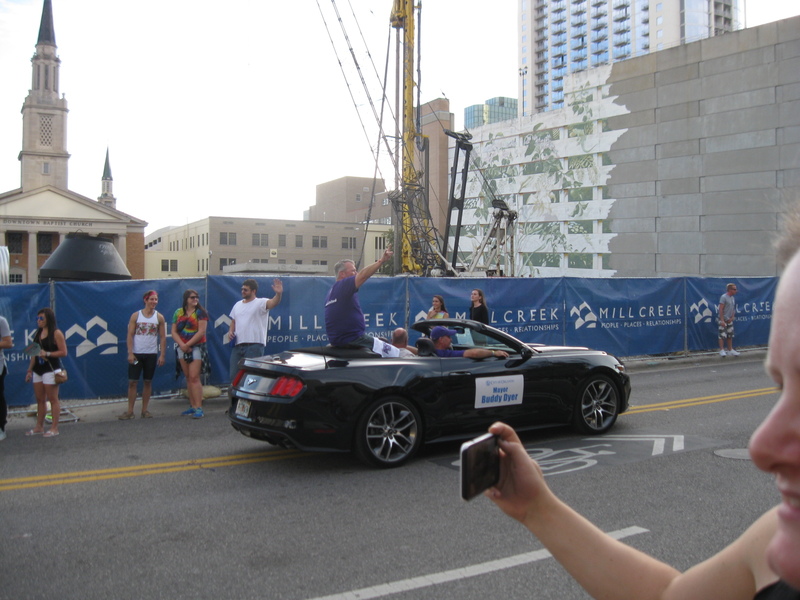 Mayor Buddy Dyer participated in the annual Orlando Come Out With Pride Parade. 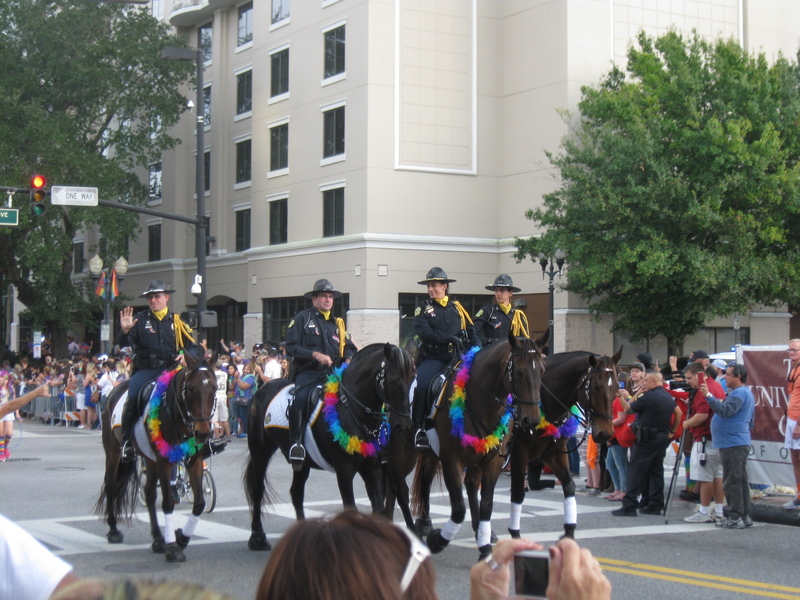 The Orlando Police Department mounted patrol participated in the annual Come Out With Pride Parade. 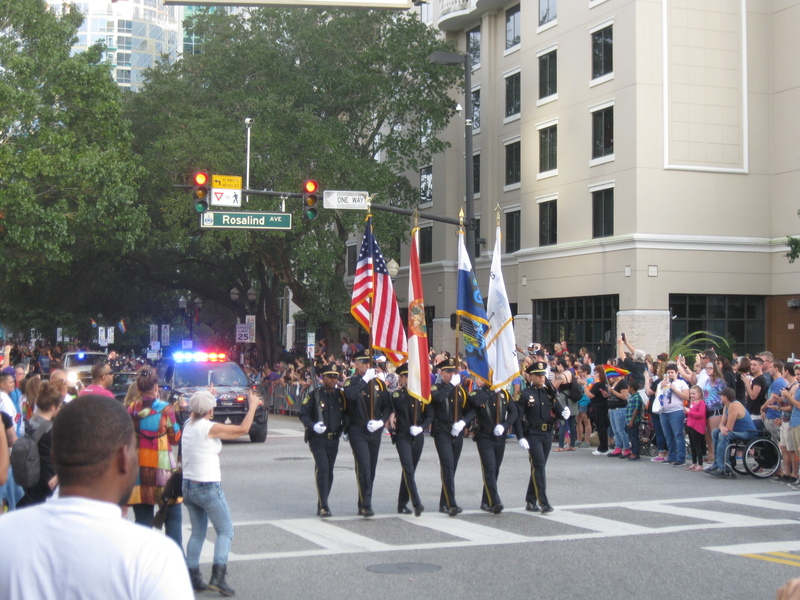 The Orlando Pride Parade was led by the color guard.